AMS Thermocouple with Standard Socket - TC Ltd.
﻿TC Ltd operate an extensive pre-testing calibration program. 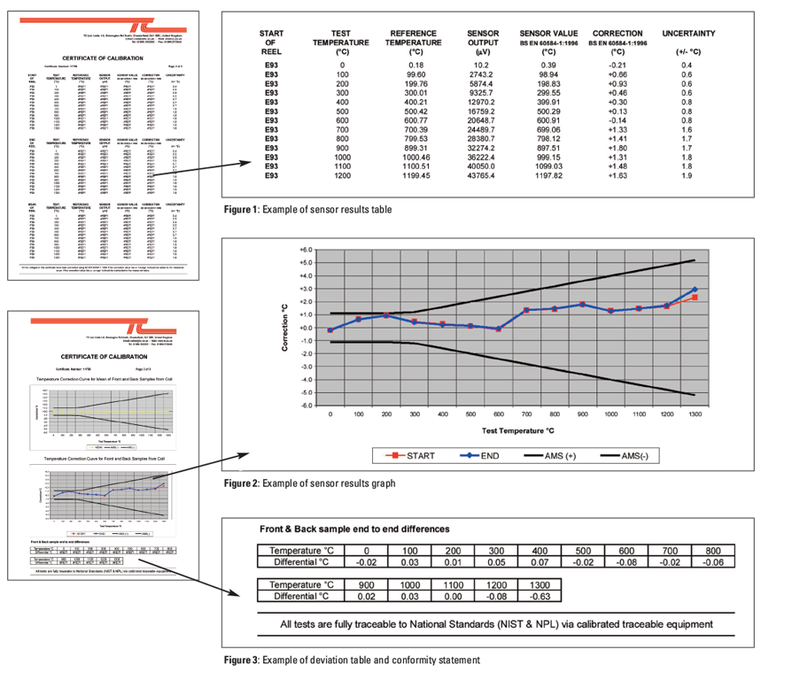 All of our mineral insulated cables used to manufacture the 12HT range are calibrated in our laboratory, all reels meeting the requirements of the AMS2750, BAC5621 & CQI-9 standards are stocked ready for quick manufacture with a 7/10 day typical lead time for completed sensors with calibration report. If your application requires individual sensor calibration or uses custom temperatures not shown on the report, these requirements can be added to the 12HT part code as shown in the order code example below. 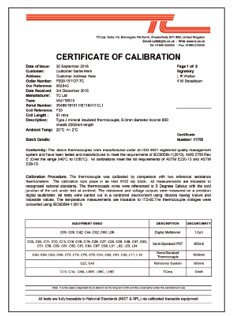 We will then perform the custom calibration before despatch and amend the report accordingly. It is also possible to specify full UKAS calibration if required. Please contact one of our experienced sales engineers for more details.